2018 has well and truly begun and our studio is buzzing with excitement over the trends that the year will bring. Theres a great mixture of interior and architectural elements that are melding together on the horizon and we have pieced together our favourites so far. The big thing of recent years with the surge of Pinterest is D.I.Y. People have been creating anything and everything from toothbrush holders to bed suites. While its been amazing for everything to flex that creative muscle, we predict that 2018 is the year of refinement and quality over quantity. Our tip is to invest in staple pieces that are timeless and adaptable. Style with a selective eye, only choosing pieces that subtly enhance the space but do not overwhelm. While paring back is a big hit, some might think it is a little on the boring side. To help rectify this is the use of bold patterns and wall papers. We often find that styling smaller rooms like a bathroom etc is rather difficult. Theres always a fine line between too little and too much. Creating interest in these little spaces through the use of artistic wall finishes instead of objects is the best option. 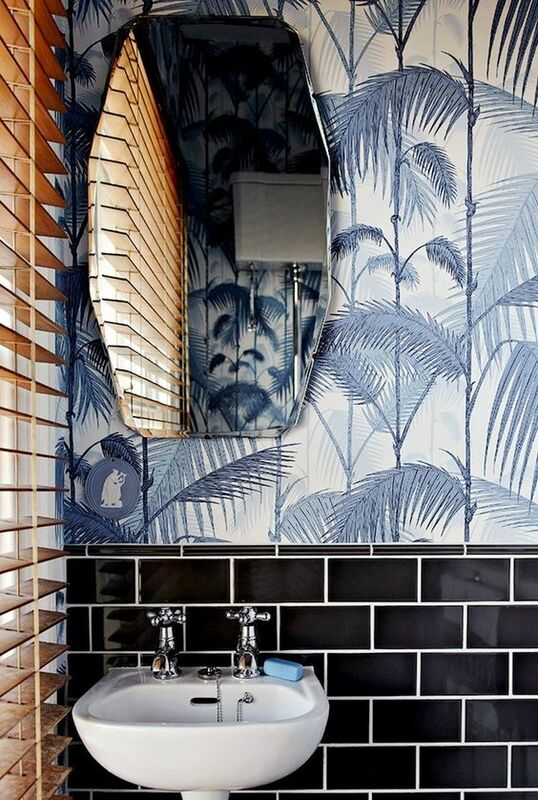 This pop of deep blue and patterned wall paper is all of the decoration you need to make this environment enjoyable to be in. Cluttering the space with trinkets or the D.I.Y hair pin holder you made last month can make the space feel cramped. Replace it with this fun finish and you’ll have created a successful and interesting space. Following on from the use of bright wall papers, is the use of deep and rich block colours. 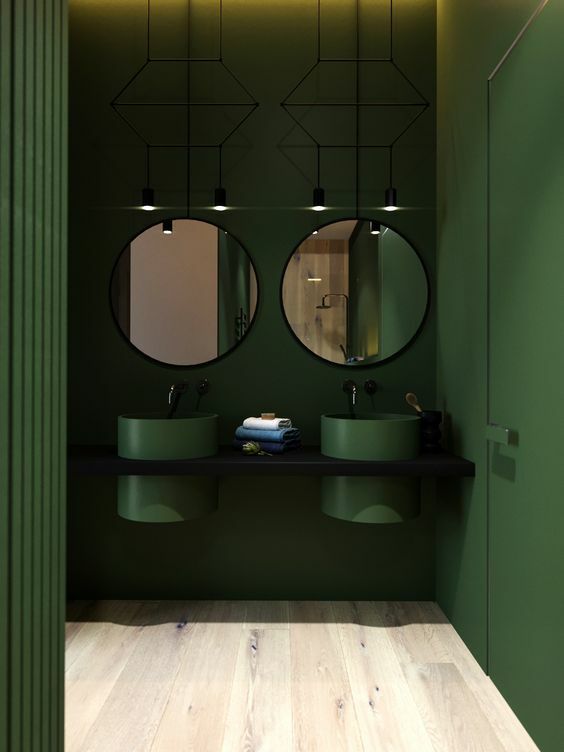 This beautiful bathroom by Sergey Makhno Architects is a fantastic example of using colour to amplify a space. 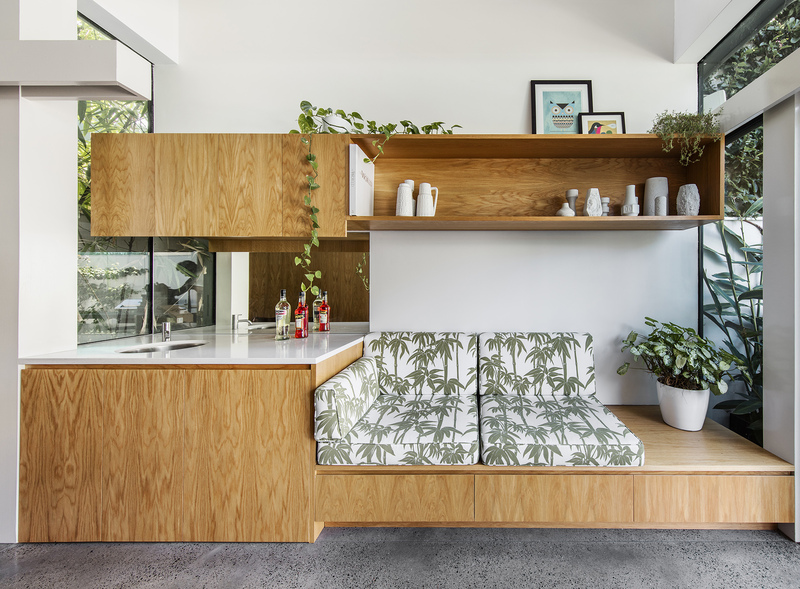 Adaptable in every room, be it a bathroom, bedroom, kitchen etc, the block out of one colour mixes the traditional trend of colour intensity with the modern touch on simplicity. A great top when using this colour blocking technique is to balance the space with a brighter floor. This will help the space not feel claustrophobic and really play with the proportions of the room. Our last trend we want to touch base on our favourite, as it is a true showcase of the mixture of interiors and architecture. 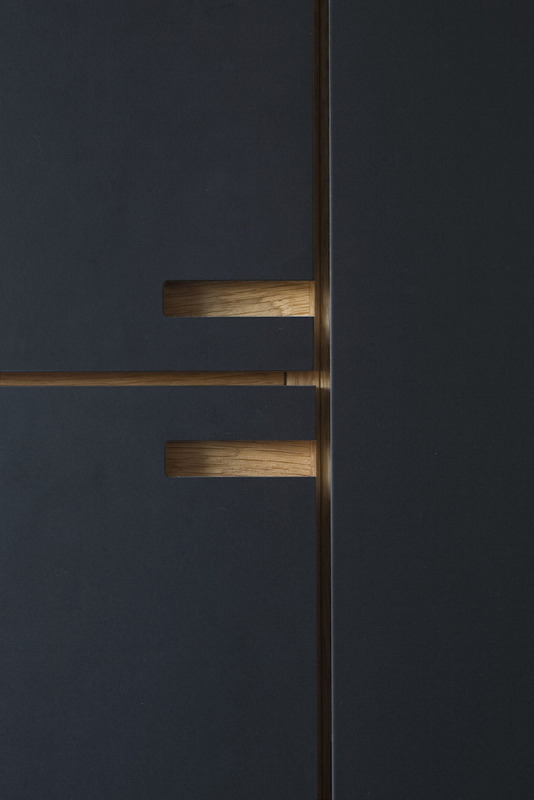 This beautifully crafted joinery detail illustrates the trend of creating integrated openings in your cabinetry. It allows for seamless flow, a great contribution to your home especially if you are running low on space. It eliminates the need for hardware resulting in uninterrupted planes. Once again linking back to the first trend of refinement.